Lumba Sumba Trek is one of the new trekking routes identified and explored in April 2012. Lumba Sumba Peak (5200m) is the major attraction of this route. 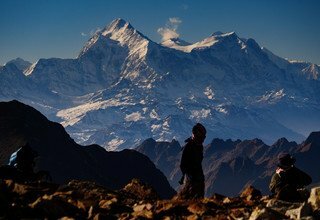 Offering some of the most spectacular Himalayan landscapes. Lumba Sumba Trekking route is home to different ethnic groups like the Limbus, Sherpas, Rai, Gurung, Magars, Newars and Tamangs. Lumba Sumba Pass Trek runs through Kanchenjunga Conservation Area (KCA) in the eastern Himalaya. 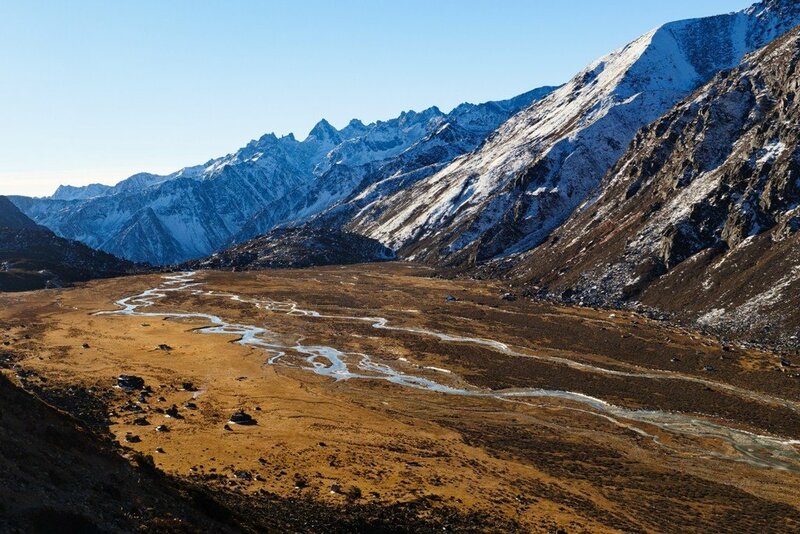 Trekkers can explore the traditional farming practices and see different birds and wildlife species, including the endangered snow leopard and red panda, from the route. 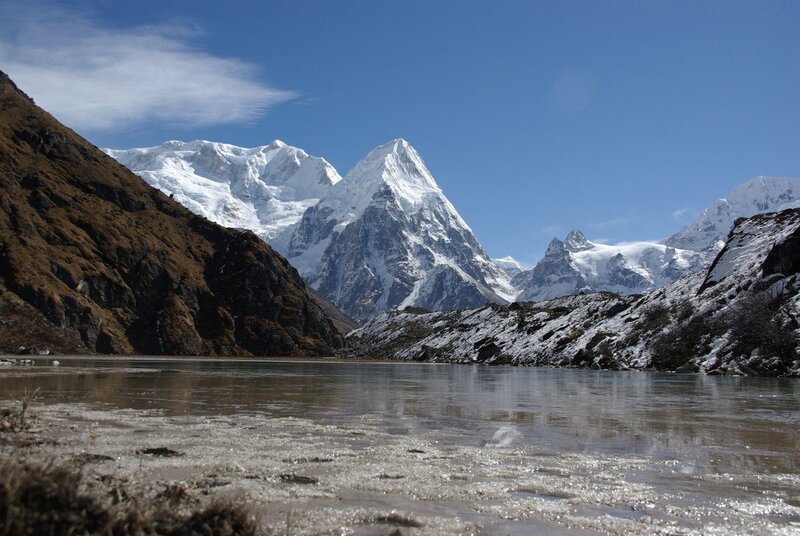 There are a number of high mountain lakes in Olangchung Gola. 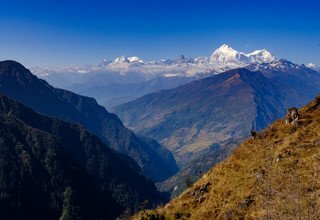 Through this route, we explore two of Nepal’s best preserved protected areas — the Kanchanjunga Conservation Area and the Makalu Barun National Park. Through the route, one can also trek to the base camps of Mt Kanchanjunga and Mt Makalu. Similarly, the Tamor and Arun River systems can be the other attraction for tourists. These two rivers are the major tributaries of the mighty Sapta Koshi River. The route encompasses alpine grass lands, rocky outcrops, dense temperate and sub-tropical forests, and low river valleys. 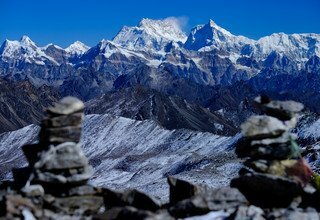 Apart from natural beauty, trekkers can also explore cultural heritage like monasteries, chhortens, temples and prayer walls. And to add to the flavor, the festivals of all of these people living in harmony only serve to make the native culture livelier. You will be warm welcomed at airport by our office representative and then you will transfer to hotel. Our staff will give brief explanation about the program and overnight in Hotel. This day, you will visit many cultural heritages, which includes some of the famous world’s heritages like Pashupatinath, Swyambhunath, Bouddhanath stupa with our Tour guide by private car and overnight in Hotel. Morning after breakfast, our car transfer to domestic airport for flight to Bhadrapur and then hire a jeep to Taplejung which is bumpy and dusty off raod 4W drive at least for 5 hours, Overnight at tented camp with full board meals. 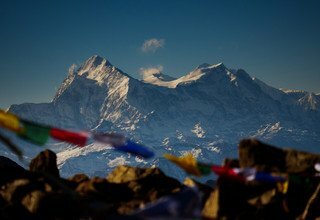 The first day trek starts from Fungling (1777m) - the headquarters of Taplejung district. 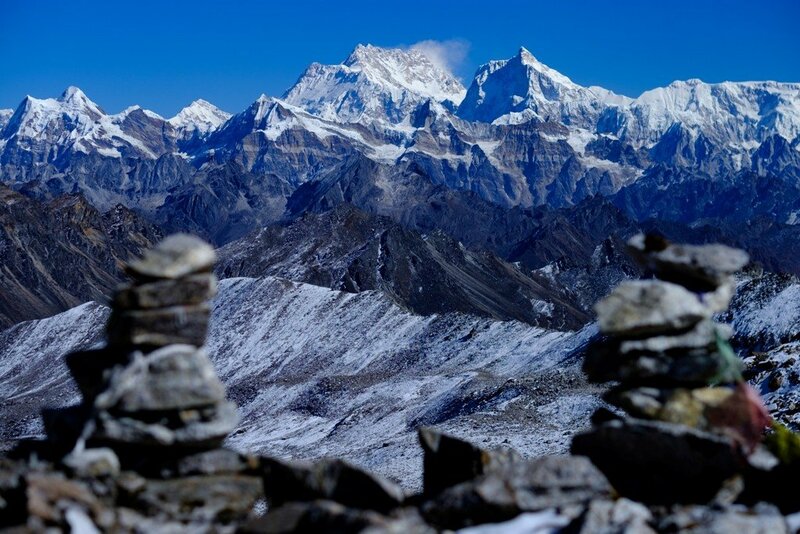 Sherpa village is the gateway to this trek. The trek passes through beautiful cardamom fields and Alnus trees (Uttis) until Hangdewa VDC which takes around two and half hours. On the way, there are small tea sops at Asangpati Tole that can be used for alternative accommodation as they provide home stay facilities. From Panisar, the trek is downhill until the suspension bridge that act as a border between Hangdewa VDC and Furumba VDC. A walk of 10 minutes takes us to Pawa Village (1546m) for lunch. 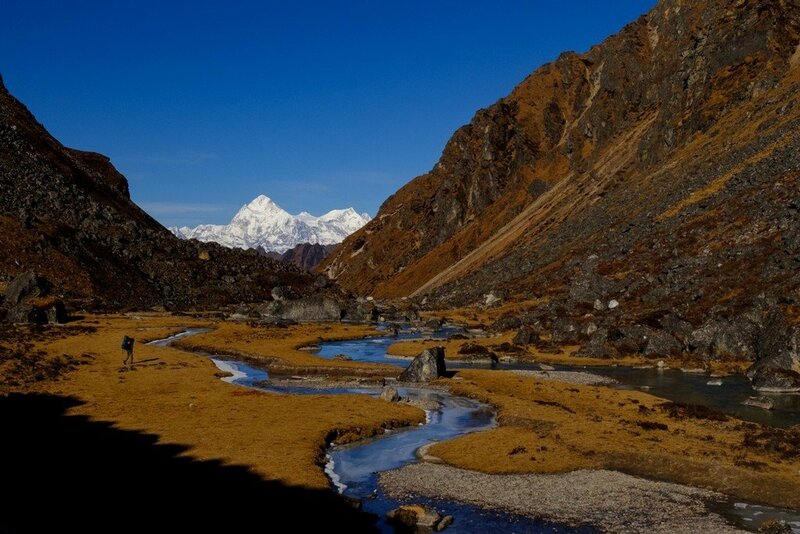 After lunch, the trek progresses along the bank of Tamor River to Mitlung - a walk of around two hours. 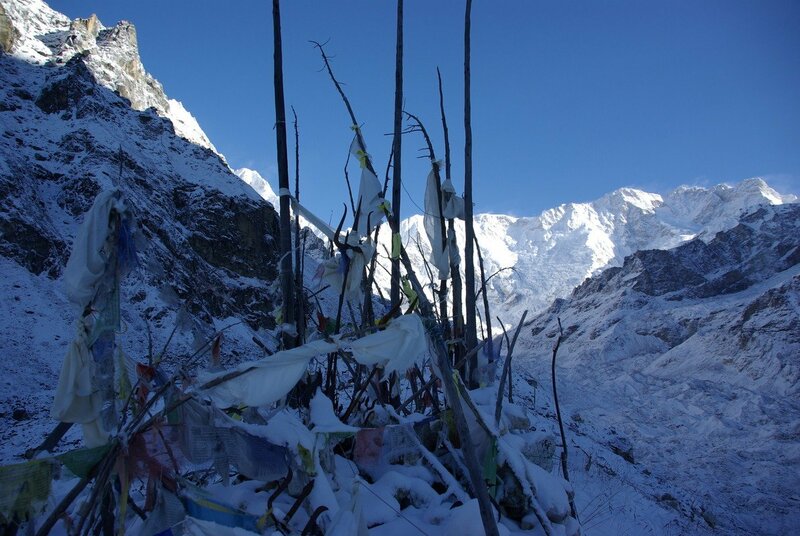 Mitlung is our destination for the day as it has good camping sites. Overnight at tented camp with full board meals. The trek passes along the banks of Tamor River on the second day. It is a pleasing walk until Furumba —a 40 minute walk from Mitlung. From Furumba, the trail is uphill for half hour then descends through Ulnus and Schima wallachiana mixed forest to Siwa Bazar (950m) at Linkhim VDC. We can reach Siwa Bazar is a good place for lunch. It is a small market with facilities like drug store, groceries and a police station. After Lunch, the trek runs along the Tamor River until Tawa Village. Tawa Village has a small tea shop. The trek runs uphill from here until we reach the KCAP entrance gate (1300m) at Thiwa Village. From here, the trek gradually descends until Chiruwa- our destination for the day. Chiruwa (1246m) is a small market with couple of lodges and good camping sites. It is a popular stopover for tourists and locals alike. Overnight at tented camp with full board meals. This day also the trek runs along the mighty Tamor river. At the start of the trek, there are two big stones with religious significance. The trek passes through Ulnus trees passes until we reach a big landslide that takes around half an hour to cross. After a walk of two and half hours from Chiruwa through beautiful cardamom gardens, we reach Tapethok (1340m) for lunch. It is a small market with some tea shops. There is also a KCAP checkpoint at Tapethok. After lunch, it is a pleasing walk for about an hour until Pembu (1486m. From Pembu, it is an uphill climb for about two and half hours to Lelep (1687m) — our destination for the day. The KCAP headquarters is in Lelep. Similarly, there is a police station, some tea shops, groceries and hotels. Overnight at tented camp with full board meals. The walk on the fifth day is pleasing as it passes through Ulnus and Rhododendron forest for about an hour until we reach a suspension bridge. After crossing the suspension bridge, the trek passes through dense bamboo groves. The place is popular among trekkers as the habitat of red Panda. If you are lucky, we might catch a sight of red panda from the trail itself. After a total walk of three and half hours from El Danda, we reach Maguwa (2423m) for lunch; the trail passes through maple and Ulnus forest. 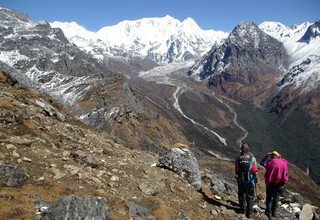 There is a big landslide on the way and trekkers must be careful while crossing it. After a walk of about one and half hour, we reach Selep Kharka (2525m) — our destination for the day. Overnight at tented camp with full board meals. Today trek runs along the bank of Tamor River leading to a place called Jongim (2641m), a flat land surrounded by snow capped hills, after a walk of about an hour. Another 40 minutes walk through rhododendron forest from Jongim, takes us to a suspension bridge. After an uphill walk of about an hour, we reach Ramite (2685m) for lunch. At Ramite, we can see mixed forest of Deodar and rhododendron. We see a beautiful waterfall after a walk of about an hour from Ramite. If you are lucky, you might be rewarded with the views of red panda from here. We caught the first glimpse of Olangchung Gola after a walk of around 45 minutes from the waterfall, we finally reach the camping site at Olangchung Gola (3208m) Olangchung Gola is a beautiful Sherpa village with around 45 houses, a 465 years old monastery with golden manuscript and KCAP office. There is also a sub-health post, a primary school and a border police station at Olangchung Gola. Overnight at tented camp with full board meals. The trek in the next three days will pass through complete wilderness. However, piles of stones along the way act as signs posts, showing us our direction. The trek passes through pine and rhododendron forests. After a walk of two and half hours, we reach a place called Jadak (3636m) for lunch. A walk of three hours on snowy track will take us to our camping site at Upper Langmale (3893m). Overnight at tented camp with full board meals. The eight day trek can be interesting as snow leopard have been sighted numerous times from this trek. The trek runs along the Tamor River and on the other side of the river lies dense rhododendron forest. After a walk of about three hours, we reach Tangchetar (4203m) for lunch. Another three hours walk after lunch will lead us to our camping site at pass Camp (4747m). Overnight at tented camp with full board meals. 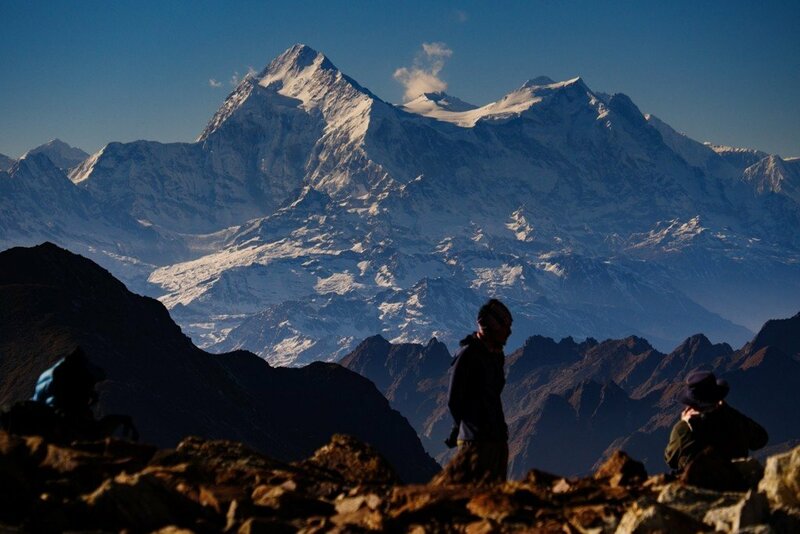 This would be the most difficult yet most memorable day of this trek. This day trek will pass through the Lumba Sumpa Peak (5200m). The trek climbs a bit up and again runs down. It is better to take packed lunch, as there are no good camping sites around. After a walk of about four and half hours from pass camp, we climb the Lumba Sumba Peak and descend down to Charikharka (4595m) for night’s stay. Overnight at tented camp with full board meals. The trek is downhill from Chaurikharka as we come back to civilization after tiring walk for three days. After a walk of about three and half hours, we came across two roads — one to Lyasha in Tibet and the other toward Thudam . We prepared our lunch at this place. A walk of about three hours takes us to Thudam for the night’s accommodation. 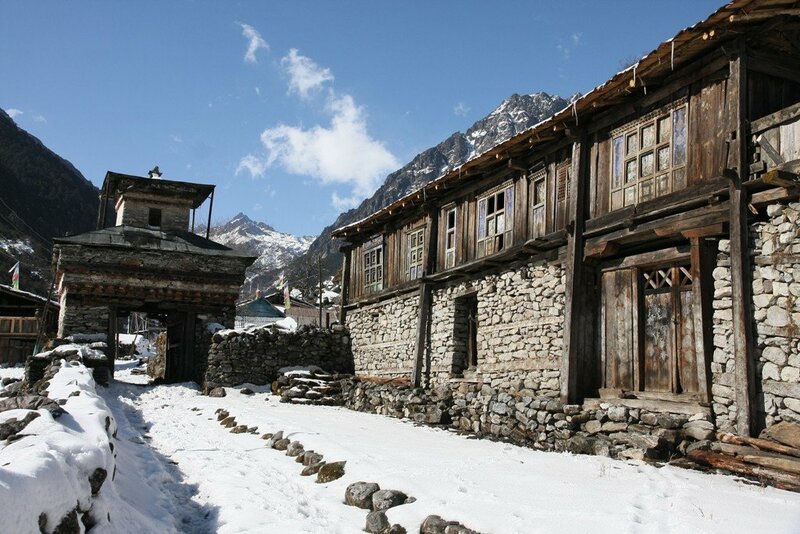 Thudam (3500m) is a small village with around 30 houses of Sherpa people. Overnight at tented camp with full board meals. The eleventh day trek runs along the banks of Chujung Khola. 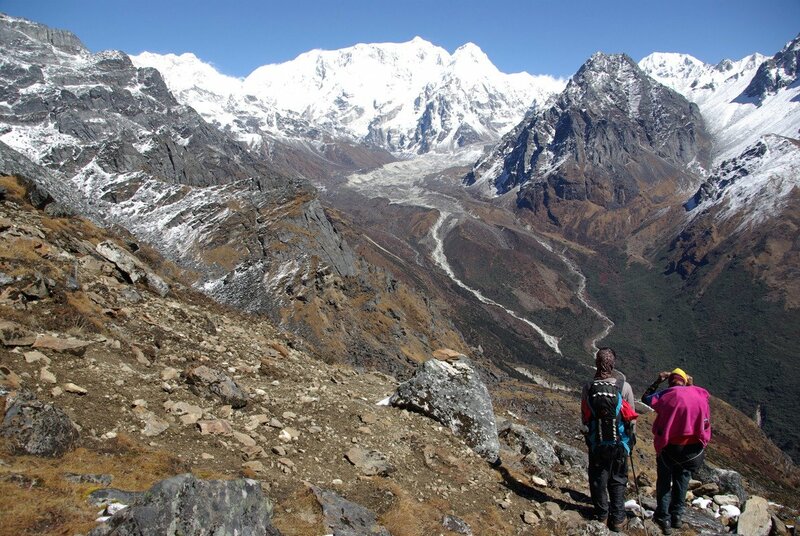 The trail offers panoramic view of peaks in the Makalu range. On the way you see lo of small bushes and bamboo groves-the best habitat for red panda. If you are lucky, you can see this endangered species. It is better to carry packed lunch, as it is difficult to find drinking water along the trail. After a walk of about six hours from Thudam, we reach Kharka (2877m) for the night’s halt. Overnight at tented camp with full board meals. The twelfth day’s walk passes through dense rhododendron forest. As there are no village on the way and also there are numerous side trails. After a walk of about three hours from Kharka, we reach a place called Chaurikharka for lunch. From Chaurikhara, we can clearly see Chyamtang (2229m). Arun River, Ridha Village and the road that leads to Kimathanka. After lunch, the trek is all downhill for about three hours until we reach Arun River. After crossing the suspension bridge over the Arun, the trek is uphill for about an hour until Chyamthang — our destination for the day. Chyamthang (2229m) is a small houses. 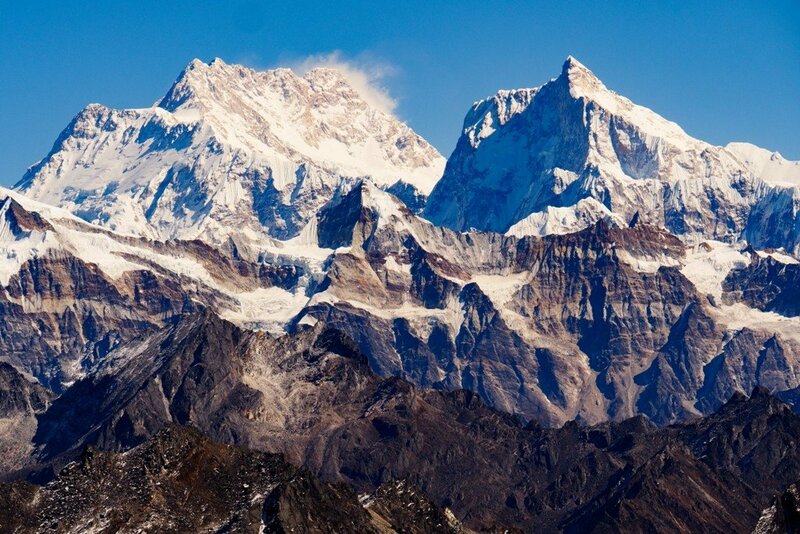 Sherpas are the dominant population in the villages. Overnight at tented camp with full board meals. The trail on the day passes through rhododendron forest. The walk is easy as chirping of birds make you feel refreshed. The trail is one of the popular places for birding as we are entering Arun Valley that is home to several bird species. 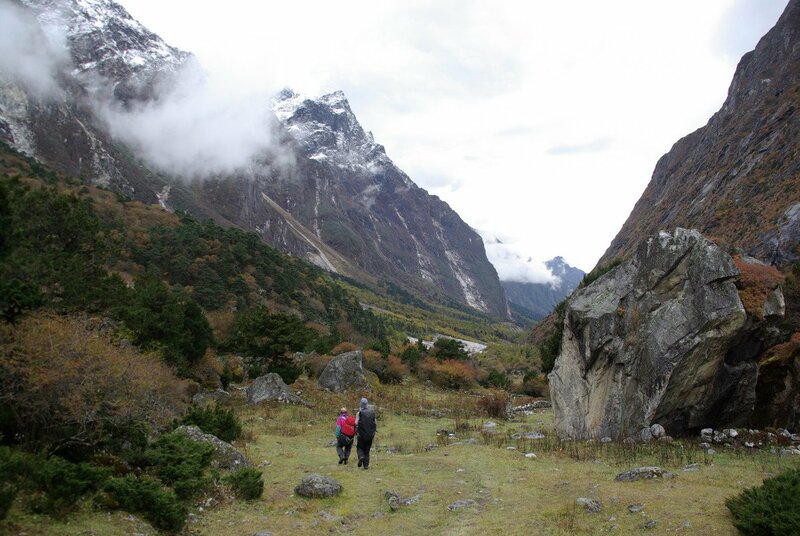 A walk of about two and half hours from Chyamthang take us to Glimber Village (1585m) for lunch. Gimber Village offers spectacular view of snowcapped peaks in the Makalu range. From Gimber, the walk is easy and after a trek of about three hours we reach Hatiya (1595m) for the night’s stay. 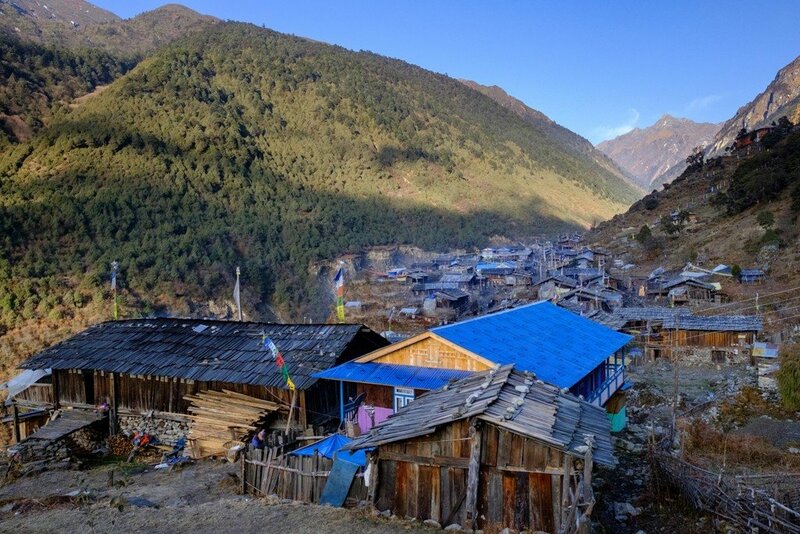 Hatiya- a small village of Bhote people — is the entry point to the Makalu National Park. Overnight at tented camp with full board meals. The trek on the 14th day runs along the banks of Arun River. After a walk of about two and half hours from Hatiya, we reach the confluence of Arun and Barun rivers. After having lunch near the river confluence, the trek progress towards Gola - our destination for the day. A walk of around two and half hours after lunch takes us to our camping site at Gola. Gola is a very small village with 12 houses. 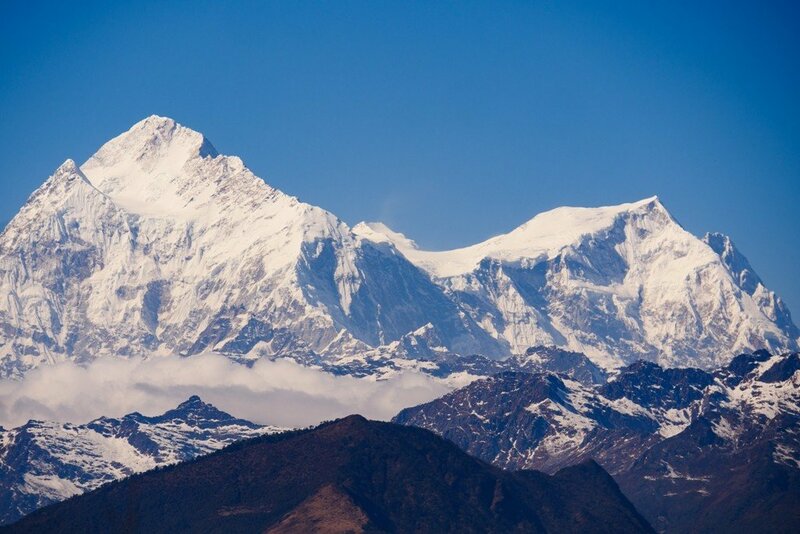 Sherpa, Rai and Tamang people reside here. Overnight at tented camp with full board meals. The trek passes through paddy fields on the 15th day - a sign that we are at lowlands now. The walk is pleasing as the trail makes a short descent, but again makes a short climb. After a walk of about two and half hours from Gola, we reach Pathibhara (not to be confused with the Pathibhara temple in Taplejung district) for lunch. 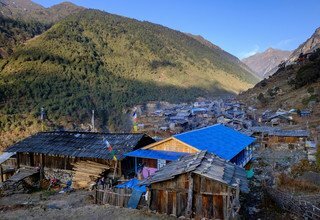 Pathibhara (1524m) is a small Gurung village with tea shops, groceries and some hotels. The trail after lunch passes through agricultural land and we can find plenty of water sources and small settlements along the way. We reach Gadhi (1800m) -our destination for the day- after a walk of around three hours from Pathibhara. 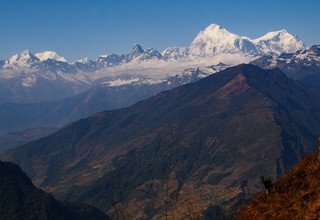 Gadhi is a place of great historical significance as Nepali Army fought bravely with invading Tibetan Army at this place and chased them away. Gadi is a small village market with a health post, a school and a police station. Overnight at tented camp with full board meals. 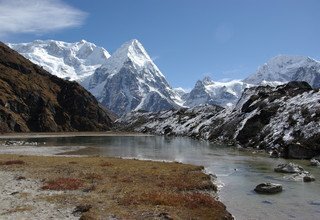 This is the last day of our trek. A walk of about tow and half hours from Gadi takes us to Num. From Gadi, the trek is about an hour downhill till the Arun River. After crossing the river, an uphill climb of about one and half hour takes us to the Num village (1572m). As Num is linked with motorable road, we can take a drive to a drive of around 4-5 hrs on dirt road takes us to Tumlingtar. Overnight at Guest house with full board meals. After breakfast, we straight to the airport and fly for Kathmandu. Our office representatives waiting you at Kathmandu airport and transfer to Hotel. Today is your free day, You can do shopping various Nepalese cultural stuffs to give as a present to your family or friends. Overnight in Hotel. 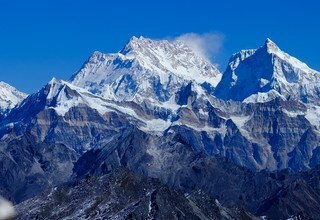 * Kanchenjunga and Makalu Conservation Area Permit.